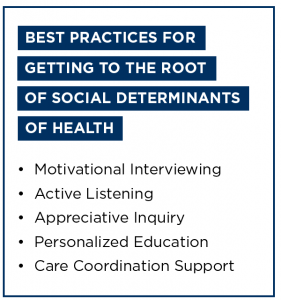 At this point, the phrase ‘social determinants of health’ is a part of the everyday vernacular for those of us working in the healthcare space. For those who are not, the WHO defines social determinants as “the conditions in which people are born, grow, live, work, and age which are mostly responsible for health inequities – the unfair and avoidable differences in health status seen within and between countries.”1 There is an ever-growing body of research on how these factors impact health access, behaviors, and outcomes across broader populations, but do we really know what social determinants look like for people experiencing them in their day-to-day lives? Putting yourself in someone else’s shoes can be harder than it seems when we are wrapped up in the speed of our Wi-Fi connection or the politics of “fake news,” but there are times statistics become an oversimplification and a broad academic view is not enough. To truly understand and address social determinants, we need to take a closer look. As a health coach, I know that taking an empathetic approach is a best practice when working with any new member – but what does that mean, exactly? It means that whatever social determinants my members may have, my number one objective is always understanding their current situation and building the rapport for a trusting relationship through which we can tackle real world barriers in their everyday life. Sometimes those barriers are simple things like finding ways to sneak vegetables into family dinner. Other times, they’re the complex, deeply personal factors the literature calls “social determinants of health”. I would like to introduce you to Mrs. A, who joined the Pack Health program at a time in her life when her basic needs were not being met. It took four conversations over the span of a month to learn that she didn’t have a home, even though she was constantly worrying about where she would be laying her head to rest every night. She would contact her local Housing Authority relentlessly, but they didn’t have any open living spaces. Without her basic needs met, she was quickly slipping into a state of depression that eventually led to thoughts of suicide. 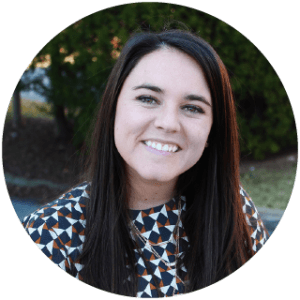 Mrs. A was connected with Pack Health in an effort to manage her Psoriasis, a condition that gets worse when you are stressed, at a very stressful time in her life. When we started talking, she didn’t have the headspace to think about adhering to her medications that could help with her depression which in turn could help her better manage her psoriasis. If I’d opened with advice she would have immediately hung up the phone. She did, however, welcome an empathetic ear – and once I’d gained her trust, we were able to address the underlying stressors in her life. Mr. and Mrs. B a couple joined Pack Health while working to stay clean from heroin. They were 184 days clean on their very first call. They originally joined the program because Mrs. B had been diagnosed with the Hepatitis C virus and they assumed Mr. B had contracted the virus as well due to needle sharing. While they had a home, they lived off of one income and disability while relying on friends/family for transportation to their source of income. Access to the correct specialist and primary care physicians was few and far between, and even harder to schedule when they had to decide on someone getting a ride to work or going to the doctor. “What if suddenly your friend couldn’t drive you to the doctor resulting in another missed appointment?” I wondered, recognizing transportation as a social determinant that can lead to less access to proper healthcare. Her hepatologist, however, was unaware that she couldn’t make it to her follow-up appointments during treatment. She didn’t feel a need to share this barrier with her doctor, and her doctor, who saw Mrs. B attending appointments with her husband, was understandably prioritizing medical issues and likely assumed Mrs. B was okay because she wasn’t alone. Mrs.B shared her transportation issues with me because I was asking different questions, in a different context, and our weekly coaching calls enabled us to take action and mitigate this undue risk. Lastly, Mr. C from a rural town in Alabama who was enrolled in Pack Health after being discharged from the hospital for hyperglycemia. This member knew he needed to change his eating habits after his most recent scare to the emergency room. With that said, the nearest Walmart was over 40 minutes away which resulted in him turning to the nearest gas station as his main food supply. Some days he would live off of sugary snacks and sodas or some days he just wouldn’t eat. Managing his type 2 diabetes was the last thing on his mind. Understanding where this member lived everyday life helped me know as his Health Advisor that we had to be creative to get him the right nutrients. Without this information, I could not have providing the nutrition education he needed to make better choices about what was healthy and accessible for him. Lack of transportation, food deserts, and poor living conditions are impacting many people in the United States – including people with one or more chronic conditions. 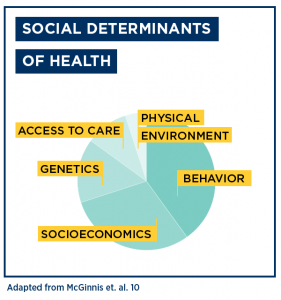 As a recent review states, “the current conceptualization of the influence of social determinants does not fully address the complex characteristics and needs of those with multimorbidity and social determinant needs. This inadequately informs nursing practices, policy and research.”3 In my experience as a Health Advisor, these gaps come from not having the time and space to develop a personal relationship with each individual patient. I’ve had to put in the time to build relationship equity with each individual in order to know how to really help them (or better yet, encourage them to help themselves). Building a relationship with these members required scheduled touchpoints that were frequent and tailored to their preference. It required the use of evidence-based communication techniques such as motivational interviewing, active listening, and appreciative inquiry. And once I understood what these members were going through, I had to be responsive and available to help them achieve results. Mrs. A was connected to a counselor to help with her mental state, which helped her reduce her PHQ9 score. Mr. and Mrs. B started focusing on cutting costs and creating a budget in order to buy a car to help with their transportation needs. Mr. C learned ways he could eat healthy with limited supplies by checking nutritional labels and focusing on staying hydrated with water. These were big wins for these members, but they weren’t obvious ones by any stretch of the imagination. They taught me that in the real world, social determinants are experienced beyond clinic doors, and require a great deal of time and trust to uncover and address. Perhaps existing practices and policies have fallen short because clinicians aren’t in a position to capture social determinants. This is where digital health coaching solutions come into play. 1“About Social Determinants of Health.” World Health Organization, World Health Organization, 25 Sept. 2017, www.who.int/social_determinants/sdh_definition/en/. 2McClintock, Heather F., and Hillary R. Bogner. “Incorporating Patients’ Social Determinants of Health into Hypertension and Depression Care: A Pilot Randomized Controlled Trial.” SpringerLink, Springer, 4 Apr. 2017, link.springer.com/article/10.1007/s10597-017-0131-x. 3Northwood, Melissa, et al. “Integrative Review of the Social Determinants of Health in Older Adults with Multimorbidity.” The Canadian Journal of Chemical Engineering, Wiley-Blackwell, 5 Oct. 2017, onlinelibrary.wiley.com/doi/full/10.1111/jan.13408.